AKIPRESS.COM - Kazakh police detained about 20 people on Thursday who protested against the renaming of the capital city after ex-president Nursultan Nazarbayev, the first decision taken by his successor, Kassym-Jomart Tokayev, Reuters reports. 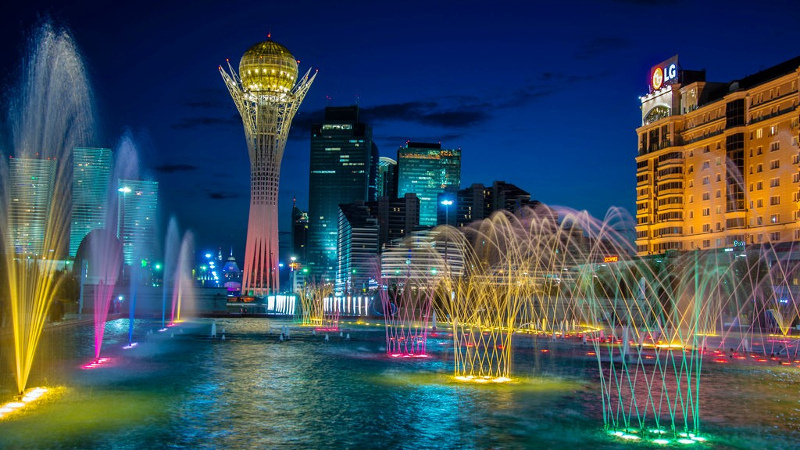 Kazakhstan has become the focus of international attention after Nazarbayev’s surprising resignation this week looked like the first step of a choreographed dynastic succession. Former upper house speaker Tokayev, who has assumed presidential powers for the rest of the term, which ends in April 2020, said on Wednesday that Astana, the capital, must be renamed Nur-Sultan. Parliament immediately voted in support of the proposal. However, the procedure has yet to be finalised and some residents have spoken out against renaming their city for the fourth time in less than 60 years. Online petition against the decision has more than 30,000 signatures. About 20 people gathered on Thursday at a square in front of the city mayor’s office to express their opposition, a Reuters correspondent reported from the scene. Scuffles broke out between them and a vocal supporter of the decision and police in riot gear intervened and detained most of the protesters. Astana was known as Akmolinsk until 1961, when it was renamed Tselinograd. It became Akmola, which means “white grave”, after Kazakhstan gained independence from the Soviet Union in 1991.